Team Root had a great time cooking at L'Espalier last night during a fundraiser for our capital campaign. 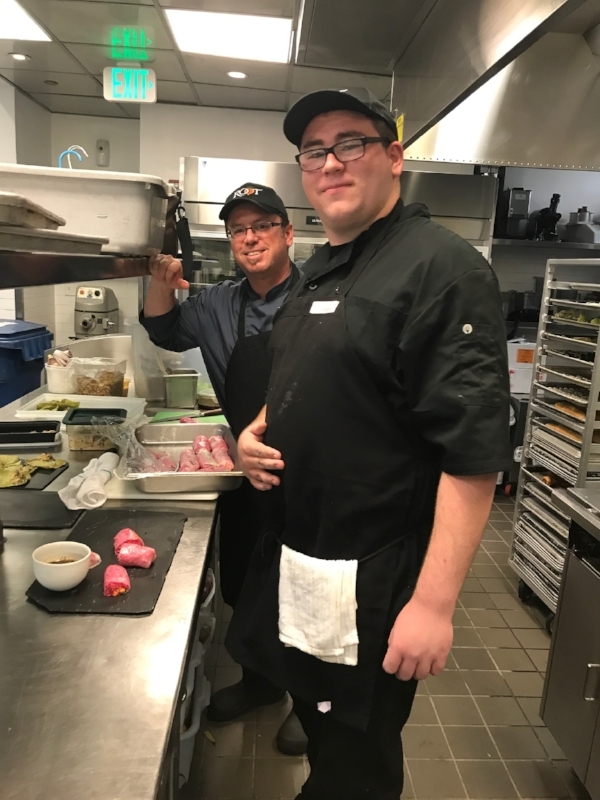 In the foreground is Joe, one of our new program parters who helped to prepare, plate and serve some of our offerings last. It was a great experience that helped reinforce our kitchen lessons in a real world setting.